Interior Features Great Location. Warner Center Adjacent. Large Open Floorplan. Large Living Space. Bonus (Garage Level) Office/Den with Washer/Dryer included. Attached, Direct Access 2 Car Garage. Second Bedroom/Loft Style, Private Gated Front Patio. 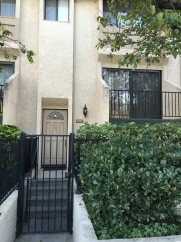 Close to Shopping, Restaurants, Transportation.